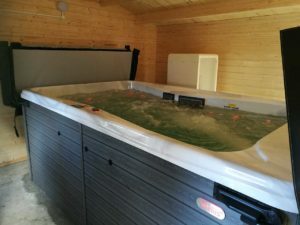 Pictured below is our latest swim spa install. 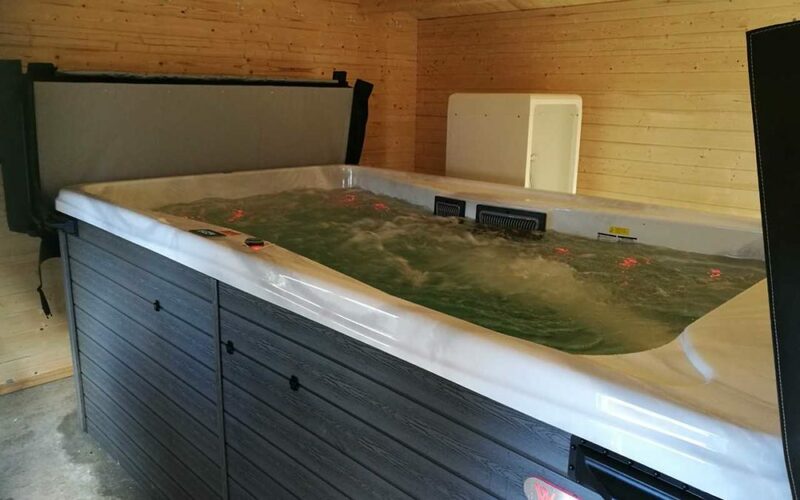 The delivery took place a few weeks ago, once the log cabin was erected our engineers returned to finish the job. Mr and Mrs Rooney from Hawick can now exercise or relax with friends and family whenever they choose.